How to Hire a Good Electrician? What to Look Out for When Hiring an Electrician? One of the main factors we would suggest you taking into consideration when hiring an Electrician is to read previous reviews and look out for images of any past work they have produced. By finding reviews and pictures the company will come across as more trustworthy depending on the reviews and pictures are evidence supporting their claim of providing the ‘best services’, it essentially allows you to be the boss. Our second factor we would ask you to implement is to not just settle for the cheapest option put on the table, yes we agree that it’s always good to try and get things cheap when you can. However, especially within the Electrical industry this is not always the best option. As this is a very important service practised within your home quality over quantity is important. Our third and final point you should take into consideration when hiring an Electrician is to ask around and do your research. Asking friends and relatives is always a good benefit as they have more than likely had a service like this before. Getting advise and some information can put you in the right direction of making the right decision. Now that you have done the above; done your research, read reviews and have been offered quotes from several of different Electrician companies. You may start to wonder, what you do next. Now you have been given the necessary information you need to make a decision, weigh up the pro’s and con’s of each company you have researched. Ask yourself, how local are they? What Price are they offering? Have they had good reviews? Once you have done this, you should then start making phone calls and finally begin your process of hiring a good Electrician. 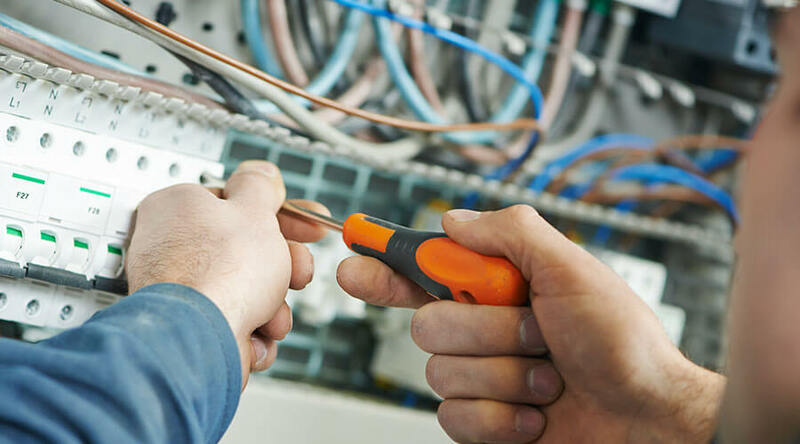 We hope this article was helpful in understanding how to hire a good Electrician, if you want any further information on the services provided. Please feel free to get in contact with our team.